Maiden Grass/Japanese Silver GrassSemi-evergreen grass. Fine leaf blades are green with very thin wh..
Maiden Grass/Japanese Silver GrassSemi-evergreen grass. Dwarf habit. Silver gray foliage turns yello.. Dwarf Zebra GrassSemi-evergreen grass. Fine leaf blades are green with yellow horizontal bands/strip..
Dwaf Japanese Silver GrassSemi-evergreen grass. Dwarf variety. Fast growing with clumping form. Long..
Maiden Grass/Japanese Silver GrassSemi-evergreen grass. Fast growing with clumping form. 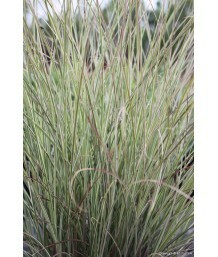 Long, narro..
Maiden Grass/Japanese Silver GrassSemi-evergreen grass. Horizontally banded foliage. Flower stalks t..
Maiden Grass/Japanese Silver GrassSemi-evergreen grass. Medium green blades with a reddish tinge tur..
Maiden Grass/Japanese Silver GrassSemi-evergreen grass. Large soft-pink flowers or seed heads that a..
Maiden Grass/Japanese Silver GrassSemi-evergreen grass. 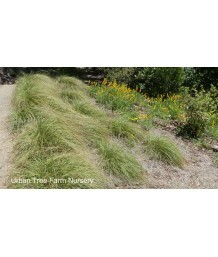 Long, narrow, arching leaves that turn orang..
Maiden Grass/Japanese Silver GrassSemi-evergreen grass. Tiny buff colored flowers with red tinges em..
Maiden Grass/Japanese Silver GrassSemi-evergreen grass. Horizontally banded foliage. Dark green leav..
Maiden Grass/Japanese Silver GrassSemi-evergreen grass. Rich green broad blades have conspicuous mil..
Evergreen MiscanthusEvergreen grass. Bright green grassy foliage is winter hardy. Seed heads or flow.. Pink MuhlyPerennial grass. Glossy, wiry, thread-like, dark green leaves and stems. Masses of airy, o.. Pink MuhlyPerennial grass. 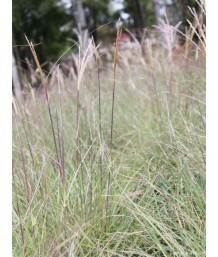 Its relatively small size, glossy green foliage & airy pinkish-red flower..
White Awn MuhlyPerennial grass. 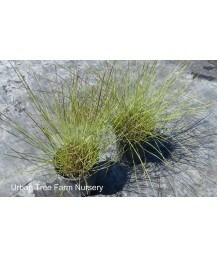 Its relatively small size, glossy blue-green foliage & airy creamy-w..
Pine MuhlyEvergreen grass. Dense clumping habit. Upright green foliage. Cream colored flower spikes ..
Bamboo MuhlyPerennial grass. 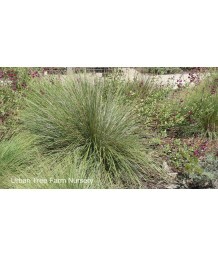 Fluffy, lacy texture to the flowers and fern-like leaves offer unique t..
Lindheimer's or Blue MuhlyPerennial grass. Clumping blue gray foliage. Purple flowers mature to a gr.. Deer GrassPerennial grass. California native. Bright green leaves for a dense, tight clump. Slender ..
Purple Muhly GrassPerennial grass. A small low-growing grass to 2'. Fine textured light green foliag..